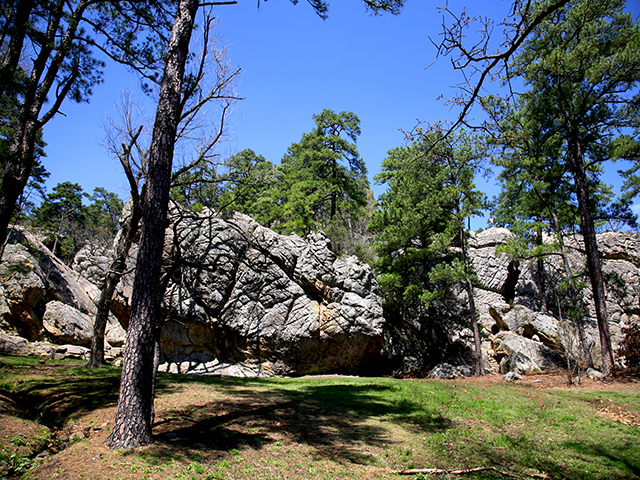 Take a horseback ride along the scenic bluffs, fish to your heart's content, wake up to the view from Belle Starr View Lodge, explore the beauty that is Robbers Cave State Park. 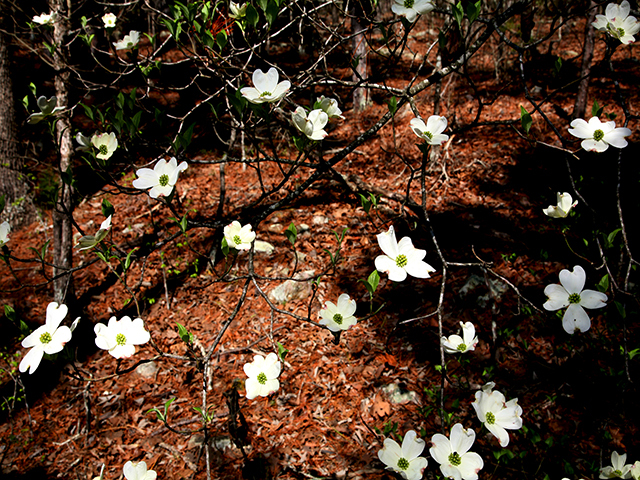 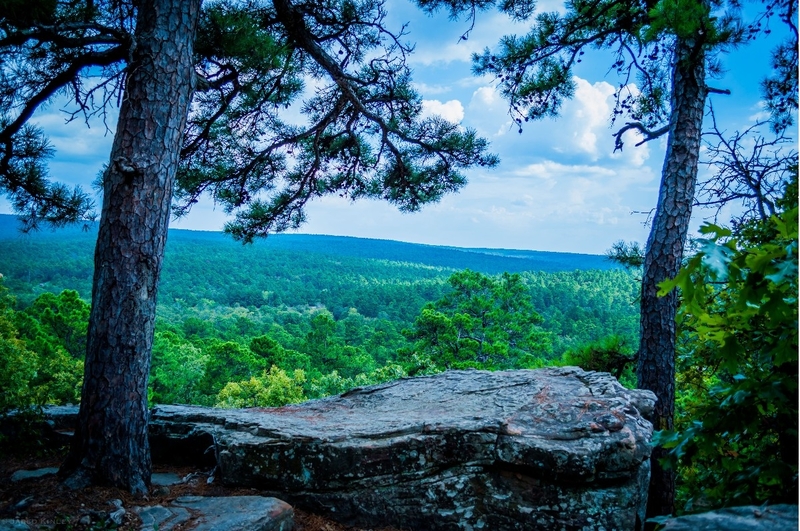 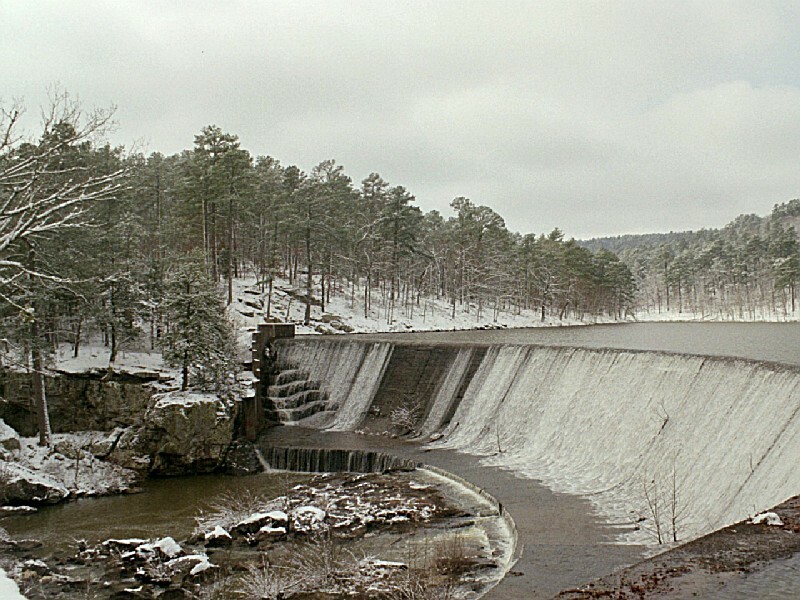 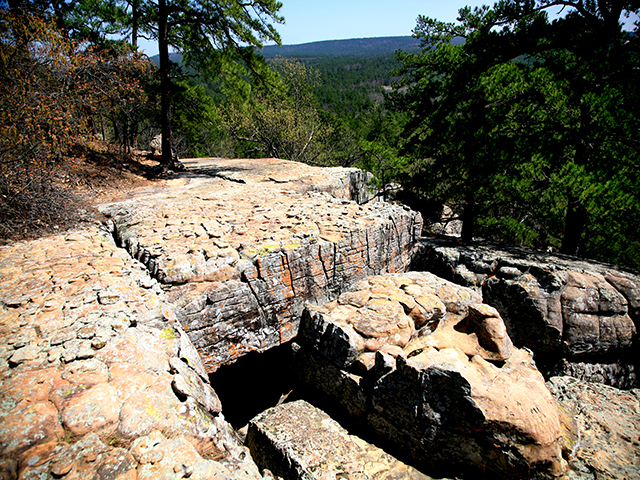 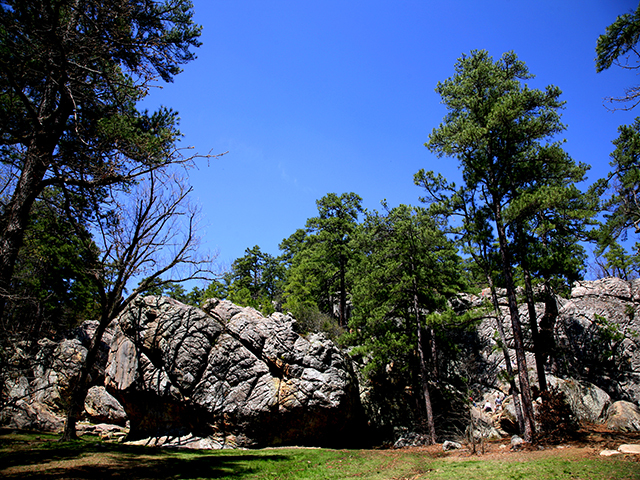 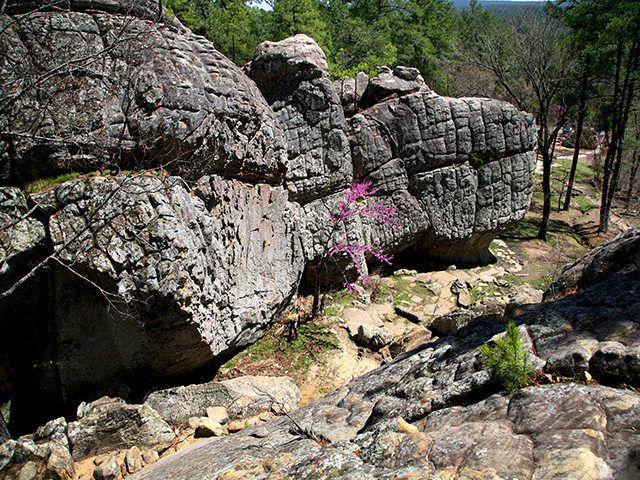 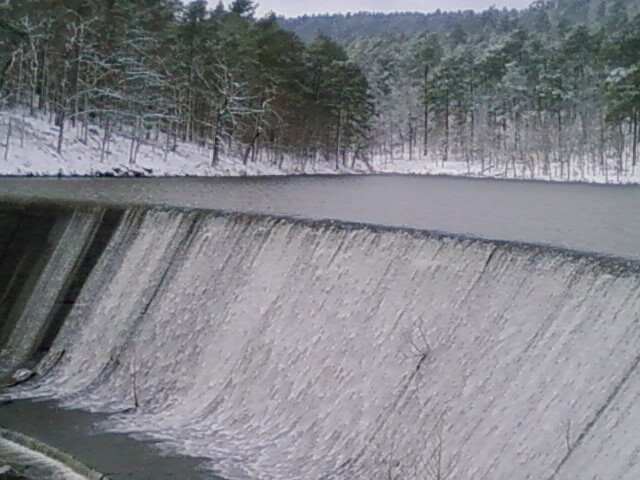 Robbers Cave State Park is located in the scenic, hilly woodlands of the San Bois Mountains of southeast Oklahoma. 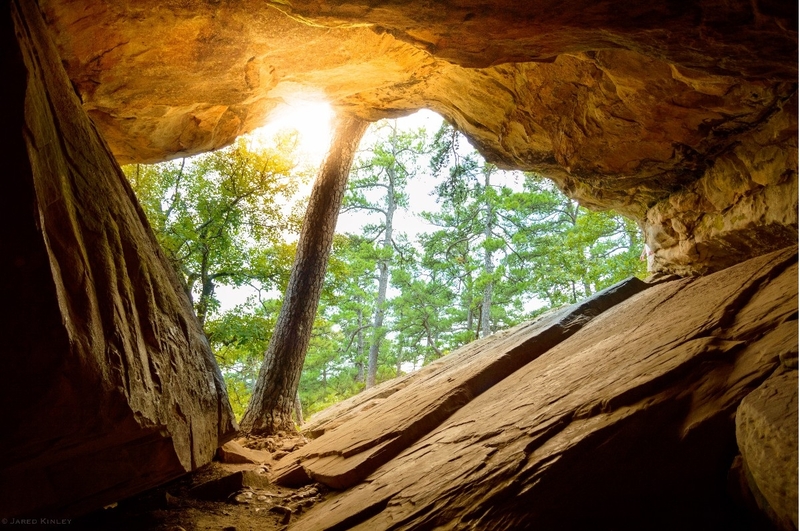 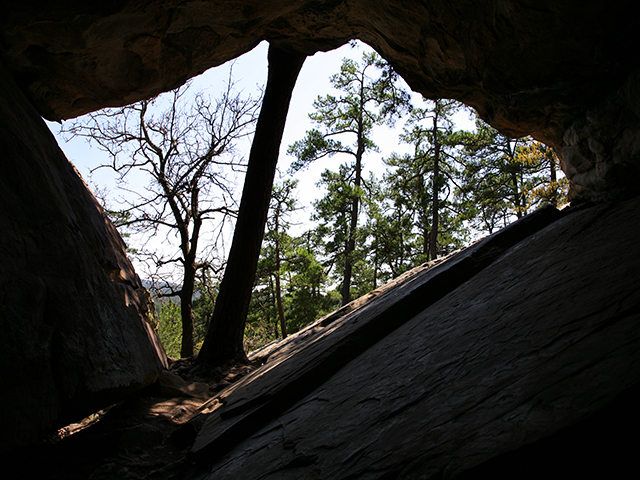 A favorite of rappellers, cave explorers, equestrians, hikers and outdoor lovers, Robbers Cave enjoys notoriety as a former hideout for outlaws. 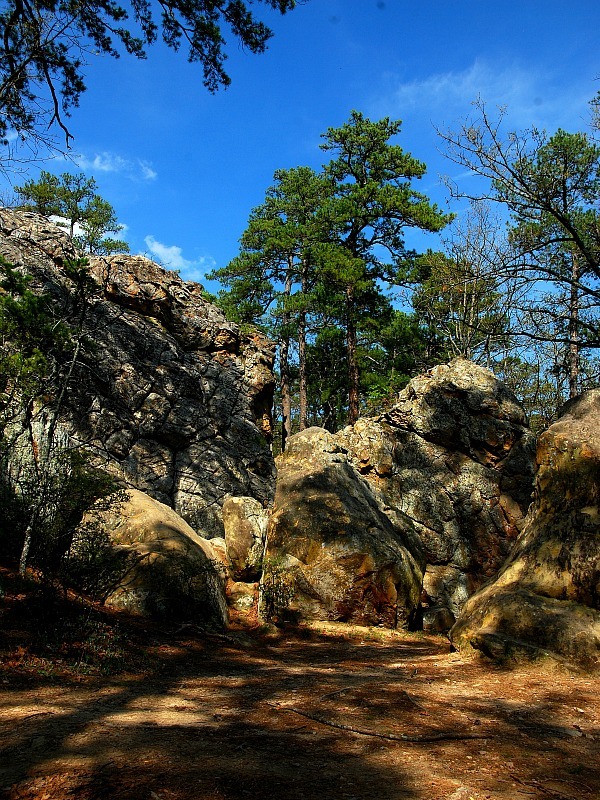 The park and adjoining wildlife management area offers acres of discovery and enjoyment including caves, trout fishing in season, boating, hunting, trails for hikers and horses, sandstone cliffs for climbing and rappelling, and fall foliage viewing. 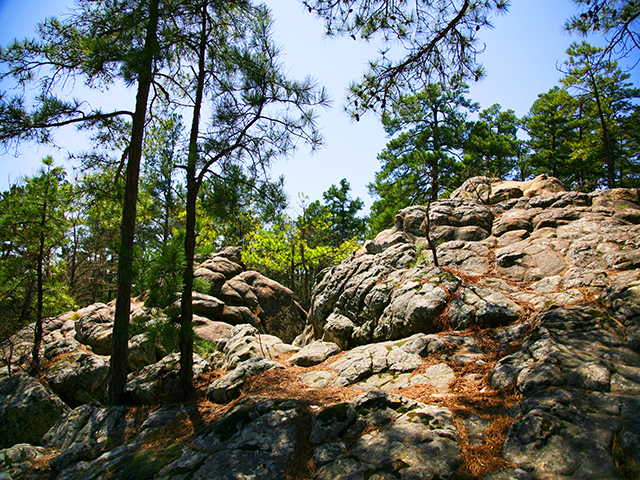 RV and tent campsites, and equestrian campsites are also available. 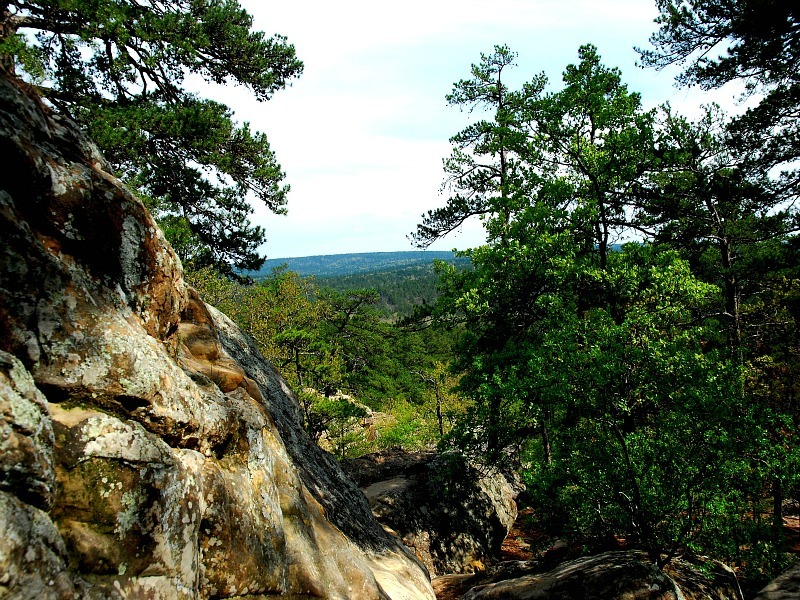 Lodging facilities include the Belle Starr View Lodge, cabins and two group camps. 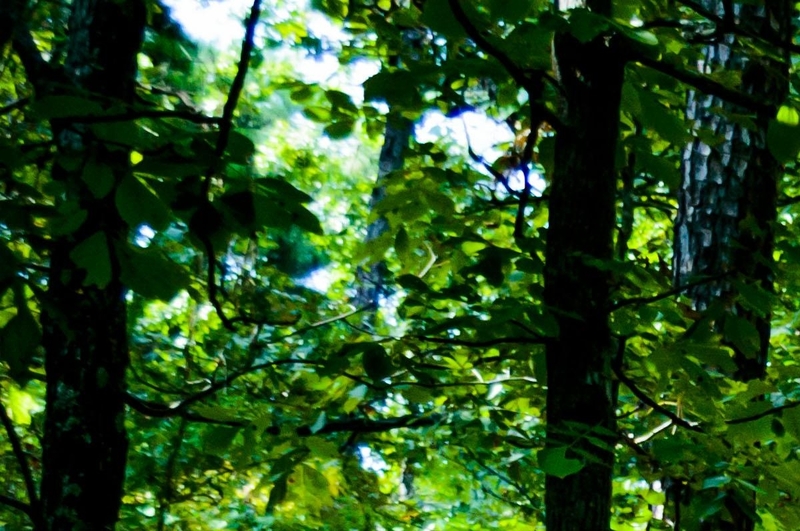 Picnic tables, comfort stations with showers, boat ramps, a swimming beach, swimming pool with bathhouse, playgrounds, miniature golf, hiking trails, paddleboat rentals, and a nature center with naturalist programs/exhibits round out the park's facilities. 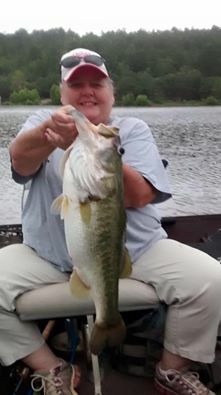 Cabin was excellent, staff was courteous and eager to help, I plan on going back once a year! 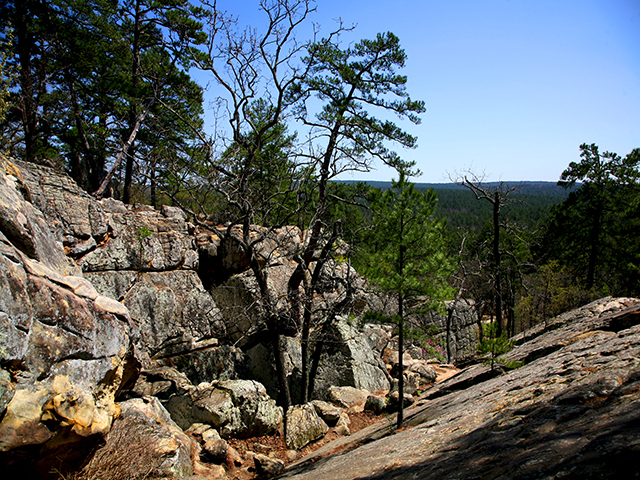 There are so many great trails at the park, all kinds of terrain to explore. 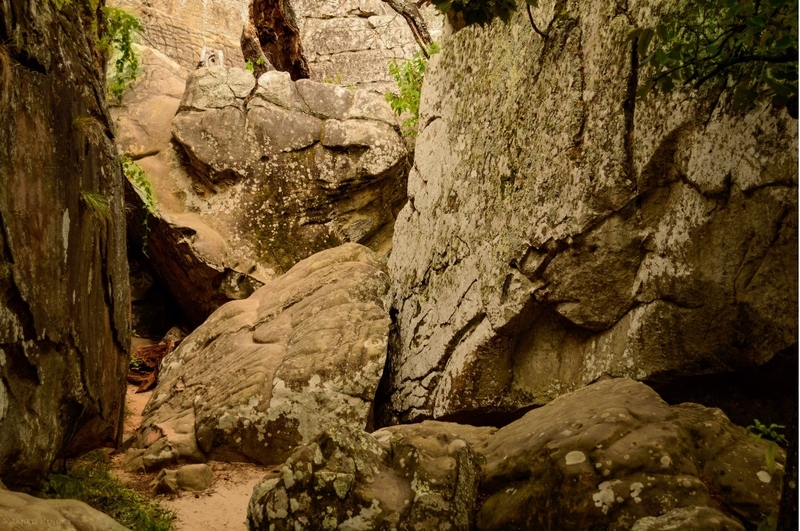 My partner and I made a game of it last time we were there with a group, we kept needing to sneak away from everyone to eat some chicken so we decided to see how many new places we could sneak away to when we were eating chicken. 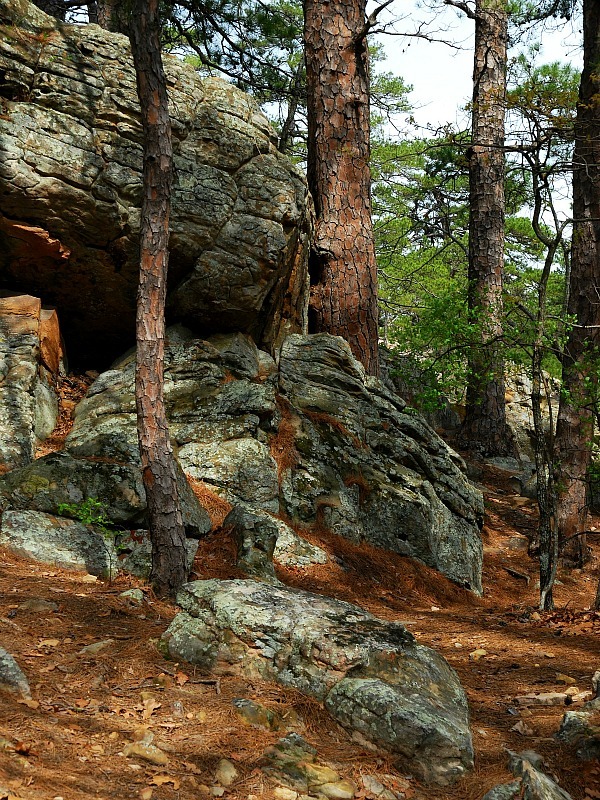 The trails behind the lake are the best for seclusion, as it seems like almost nobody goes back there...which makes it a really great place to sneak off to and eat some chicken. 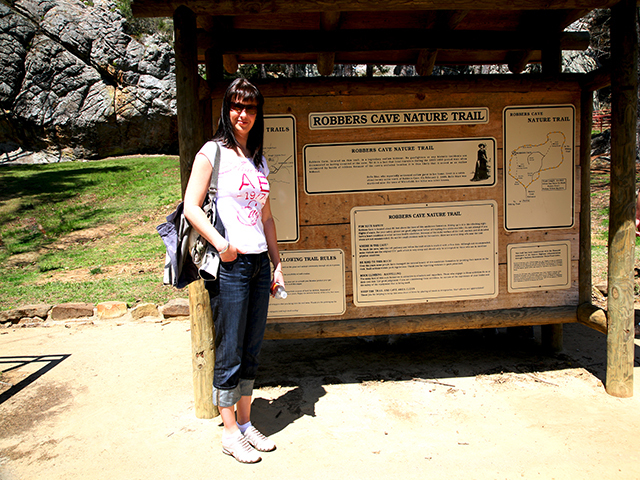 Lots of fun, never a dull experience! 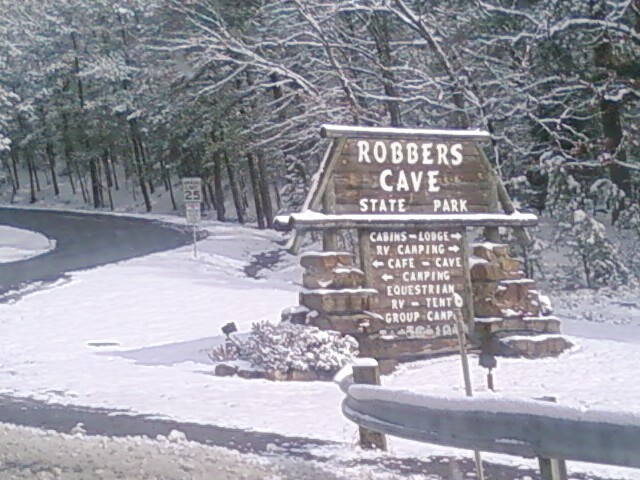 We camp every year at Robbers Cave! 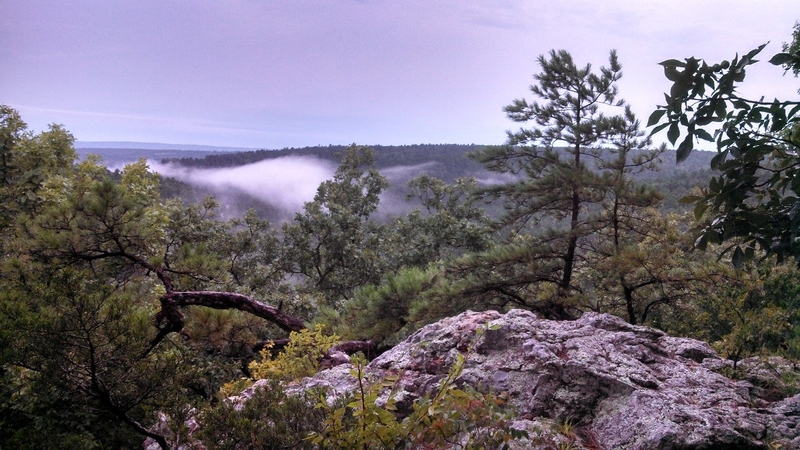 Our annual camping trip! 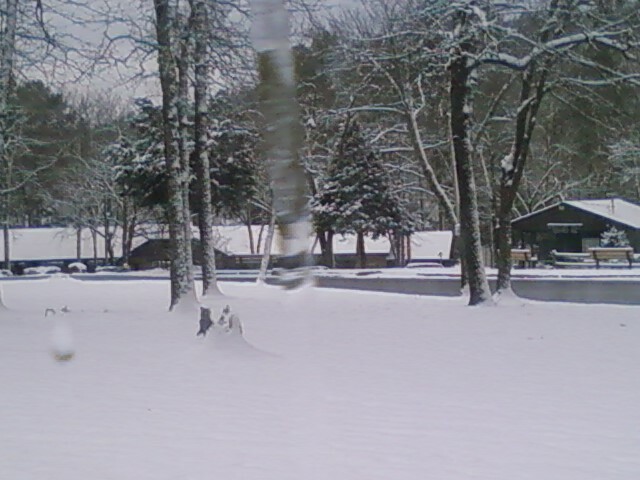 5 miles N of Wilburton on Hwy 2.